People on Weibo are obsessed with what food China will bring on their space missions. 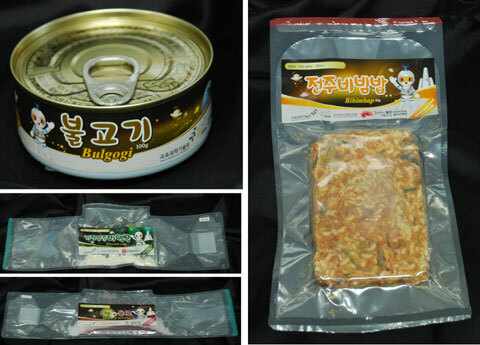 Compare these with photos of Korean, Russian, and Japanese space food. On Tuesday night, China launched Shenzhou X ("Arc Number 10") into space. According to the Financial Times, Beijing plans to build a space station by next year, and send crew to the moon by 2020. Mostly, folks on Weibo are obsessed with what Chinese food they serve in space, especially since the launch coincides with Dragon Boat Festival, which is usually celebrated with a feast. The Dragon Boat Festival commemorates the suicide and drowning of poet Qu Yuan. You're supposed to toss dumplings into the river to stop fish from nibbling on his corpse, which is hella metal. This is what the astronauts will be eating (or feeding to cosmic fish) to mark the holiday. And this is what the dish normally looks like on earth. Filled with sweet red bean paste. Also for the holidays: sweet lotus seeds. This is what is usually looks like on earth. Unfortunately, the astronauts haven't opened these yet. They haven't open these either, but it seems pretty fancy for cosmic camping. From left to right: red ginger inari rice ball, two flavors of ramen, and savory okonomiyaki pancakes. These were reportedly a huge hit when Japanese space crew brought it to the International Space Station (which China has been barred from participating in). This is according to The New York Times. Normally, you ferment kimchi by growing healthy microbes on cabbage. Researchers feared that germs would mutate in extreme temperature fluctuations in space, so they had to invent ways to kill the microbes without killing the taste. Other Korean space diner food include bulgogi (barbecue marinated pork) and spicy ramen. Including goulash, jellied sturgeon fish, borsch, black currant juice, beef jerky, and broccoli. Russia, being one of the original space dorks, has had a long time to stock its pantry. Neapolitan ice cream looks like erasers.